Strata brings you comfortable living designed with you in mind. 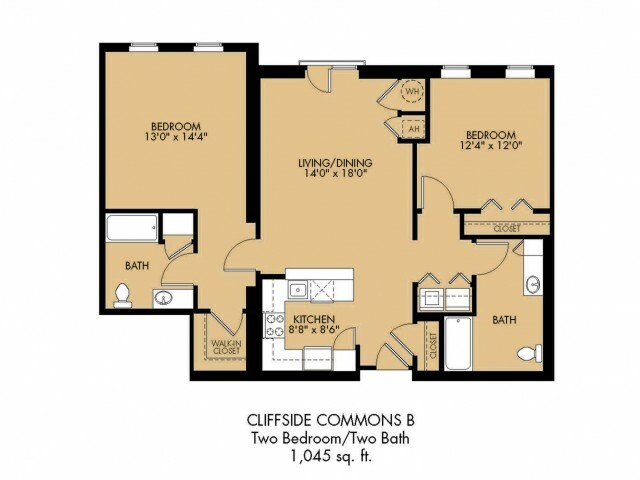 Each of our studio, one, two, and three bedroom floor-plans boasts open-concept layouts with up to 1,265 square feet of living space and a variety of interior touches you won't find anywhere else. Come home to all the comforts, amenities, and conveniences you are looking for. Online payment and leasing options make apartment living a breeze. Our community offers central air and heating, access to Comcast® or Verizon Fios® internet and cable, and the option of short-term/corporate leases for your living convenience. Oversized bathrooms and a washer and dryer in every apartment mean that you have everything you need to make your life a little less stressful. Select homes also offer added comforts including private garages, newly renovated interiors, walk-in closets, and cozy fireplaces. Schedule your private tour of our available apartments today to find the home that's just right for you.